Our high quality dyed soft house Merino Wool is the perfect go-to wool for many projects including; needle/wet Felting, hand-painting/dyeing, spinning, blending, weaving, and making luxuriously soft arm knitted blankets! It's no wonder it's one of our most popular fibers in the shop! 23 Microns, 3-4 inch staple length. Treat yourself to the special by the price that cannot be beat! Merino wool is luxuriously soft and excellent for people with sensitivity to traditional wool. It is a fine fiber, with many characteristics that make it one of the most popular fibers worldwide. It is very popular for athletic wear due to its natural moisture wicking properties that take moisture away from the body while still holding in warmth. It is extremely absorbent, yet retains its warmth when wet. Compared to other wool, it has a superior warmth-to-weight ratio, meaning it weighs less and warms more. 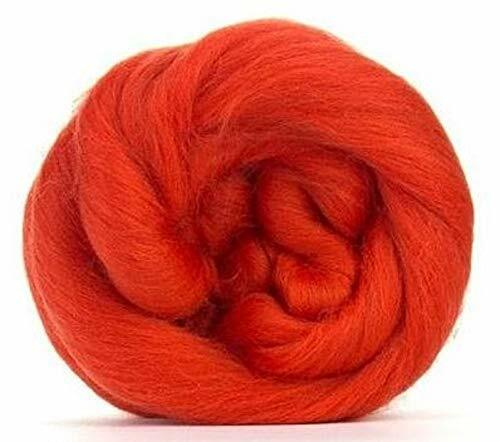 For new spinners, merino is a great place to start if you are looking for a softer alternative to Corriedale or Romney while still sticking with a beginner fiber. Despite its fine texture, it handles surprisingly well on a spinning wheel or drop spindle. Our merino's great price, exceptional softness, versatility, and compliance on the wheel make it a popular choice for the novice and veteran alike. TOP SELLING! **BEST QUALITY** BLOGGER FAVORITE! View More In Weaving & Spinning. If you have any questions about this product by Paradise Fibers, contact us by completing and submitting the form below. If you are looking for a specif part number, please include it with your message. By V.I. Reed & Cane, Inc.
© 2019 - theartisanlounge.com. All Rights Reserved.